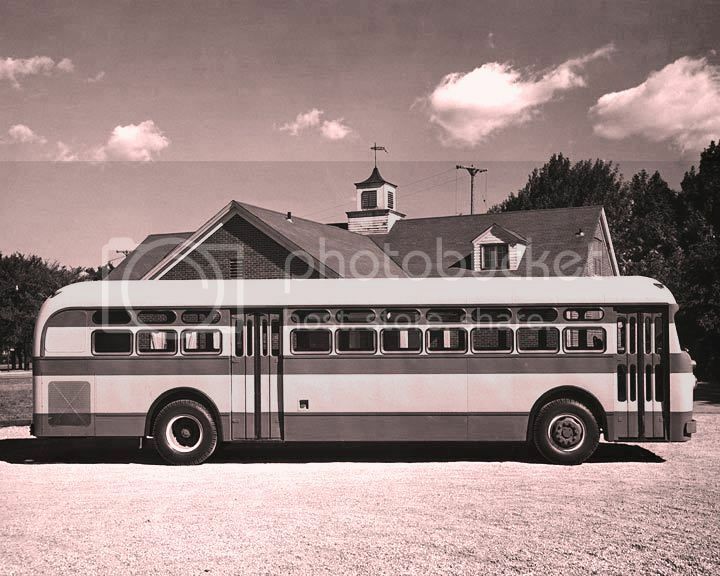 So often, we've seen buses in the Old Look era of various manufacturers that featured a strange duct traveling front to rear over the center of the roof. Being that the phenomenon was usually found on equipment headed for the tropics it was logical to believe that it had something to do with ambient air flow within passenger cabin. 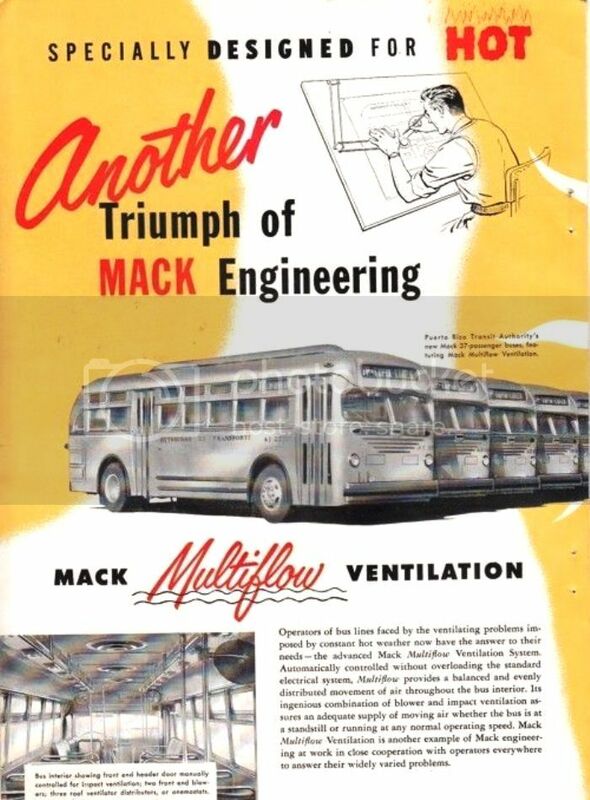 If that was your guess as it was mine, then we were correct as is indicated in the Mack ad that appeared in an early post war issue of Bus Transportation which detailed the system's operation and showcased a fleet of 37 passenger Macks so equipped for the Puerto Rico Transit Authority. By the description of the system it would seem to me that an upgrade to a refrigerated unit would have been a relatively simple matter. Photos in the form of a two page brochure courtesy of 'qcyjohn' and are available at eBay as item # 310832589132. Spotlighting the smallest of GM's offerings in the era of their 'streamlined' monocoque transit buses (known to us today as 'Old Looks'), we see below a condensed version of basic specifications for the 32 passenger offering. While the 3200's were built between 1940 and 1949 and included the 01, 05, 06, 07 and 09 versions featuring most of the heavy duty characteristics of their larger capacity cousins, they maintained the same 94 and 3/4 inch width of their late thirties predecessors. Available with either Diesel or gasoline power coupled with mechanical or hydraulic transmissions, the little 32's were ideal both as mainstays for small operators or as feeders to the main trunks of larger properties such as Public Service of New Jersey. The era of the heavy duty 32 passenger bus came to an end at GM in 1949 and was replaced by the lighter weight 'Hydra-Matic' line which was built to traditional 1930's integral design with power derived from either Diesel or gasoline truck engines. 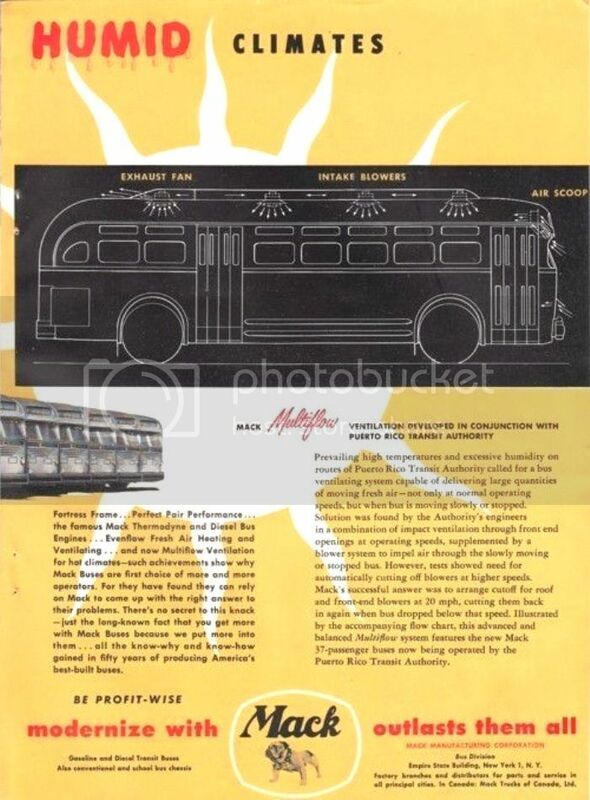 Photo courtesy of '4509bus' and is available at eBay as item # 371006109386. Even thought we're talking about just a little over an inch, it's interesting to note the widths only being 94 3/4 inches wide. I wonder if GM had two separate presses for the front clips for this and the 96 inch widths or did they use the same width clips and just modify the tapering of the body sides to fit the clips? I really can't answer your question on the narrower 3200 models until I do some further research. In fact, I can't even think of a logical reason at this point. 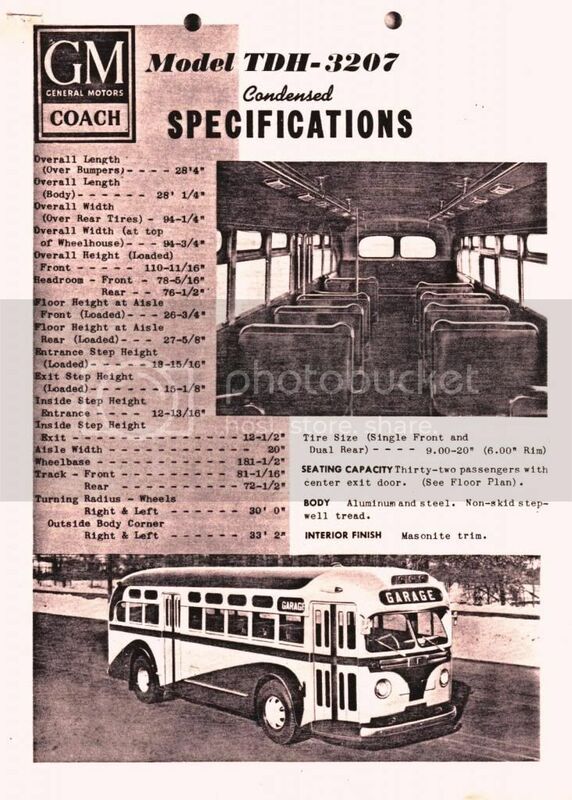 While the special orders of GM paired window 5502's for Chicago and the 4510's and 5101's for New York had already begun to appear in service in the latter part of 1948, the updated design to standard GM specs only made its debut almost a year later and the 1949 ad below that appeared in Bus Transportation Magazine hawked the 4509's which were the first off the line. Of note is the fact that the single passenger windows fore and aft of the rear doors are the same width indicating that a production line roof strengthening campaign brought about by the discovery of hair line fractures on some of New York's 4510's was yet to be adopted. Of the four operators shown, note that only New York City Omnibus equipment carried no directional signals - that's a good 'what were they thinking' question! And finally, GM's crack trick photographer's again used their magical talents to make things look as though they were there when they really weren't! Only the first two buses in each set were actually photographed with the ones following merely being copies of the original. What I don't understand is if the 4509's were being hawked as being the first models off the line, why is there an artist rendition of a 4010 in the top panel instead of the 4509? Seems odd to me, since only 119 of them were built with almost 90% of them being exported to Uruguay? Then again, it could be that GM had no idea at that time of the popularity that the 4500 series would become and not the 4010 that they may have had in mind. Seen sometime in 1958 at Chicago's Midway Airport is fleet #1 - a 1952 42 passenger 'Transit Bus' modeled as a 342S operating for Continental Airlines of Houston, Texas. Transit Bus, Inc., a division of the Checker Cab Manufacturing Corporation of Kalamazoo, Michigan and maker of light duty buses, made a last ditch attempt to enter the heavier marketplace with stretched versions of their semi successful 29 passenger models. Three entries were introduced in 1950 including 34, 40 and 42 seat versions with all powered by 545 cubic inch Le Roi V-8 gasoline engines and, while the 34 and 40 passenger offerings were standard two door transits, the 42's such as is our focus were set up in single door suburban configuration with high back seats and parcel racks in place of standee glasses. Unfortunately, the new line was short lived thanks to GM's stellar performance at the time. 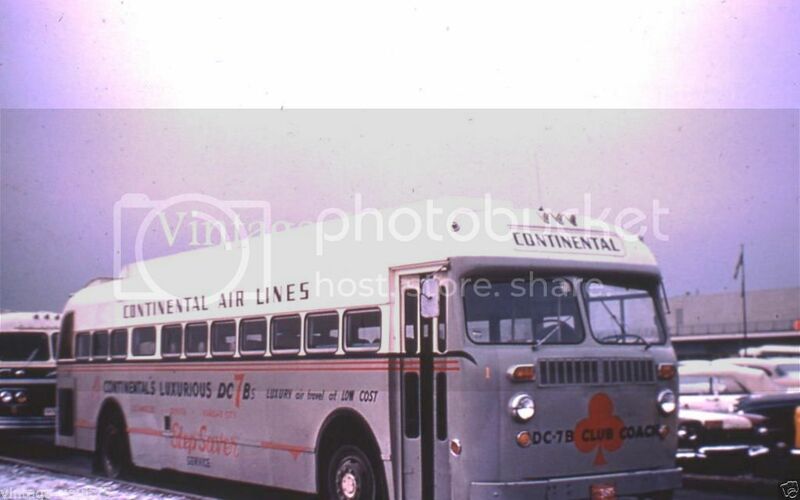 As an Airporter, #1 was charged with shuttle services between downtown Chicago and both Midway and O'Hare and, at the time the photo was taken, proudly advertised Continental's luxurious new Douglas DC7B service. Of note on #1 is the after market air conditioning system complete with exterior duct work running full length from the front to the rear of the roof. Photo courtesy of 'Vintage-Vault75' and is available at eBay as item # 370866212437. I've seen this photo before but did not realize the make and model of the bus. 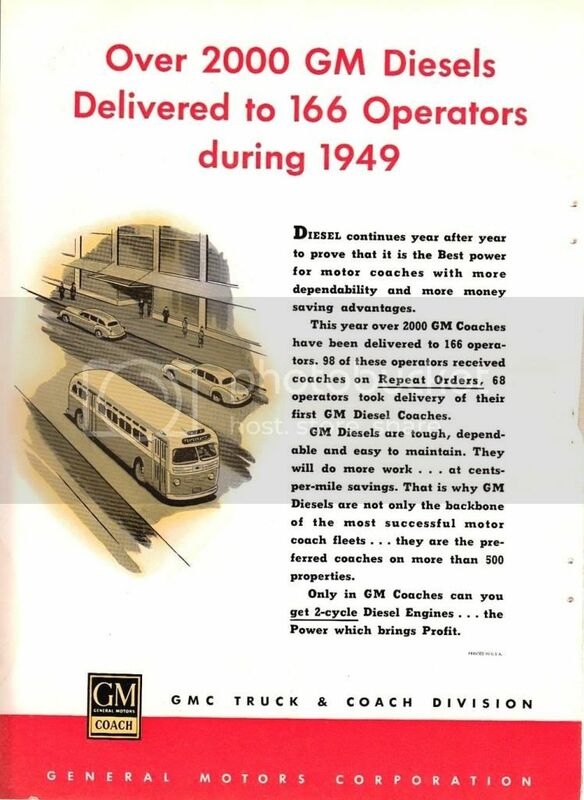 Checker advertised their revised line of transits at the time but I had never seen a picture of one in revenue service. Do you know if anyone else bought any of the redesigned Checkers? 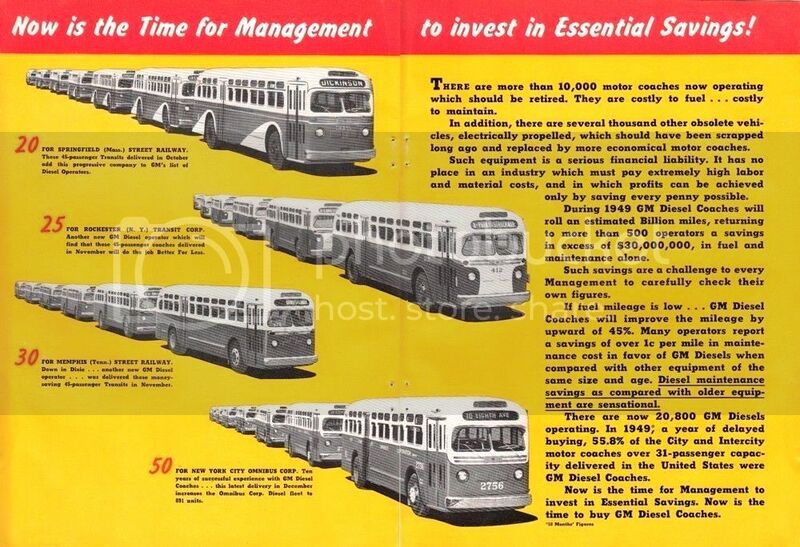 While there may be records somewhere for the production of these buses, I have never seen them but I can say with some assurance that not too many were ever built because Checker ceased all bus production by the mid fifties. In fact, they make no appearance in Luke's 'Transit Buses of the 20th. Century'. The only thing I can come up with is a promotional shot of a model 340 as seen below. That photo mystefies me.....Is that Checker acutally operating for Continental Airlines, or is it actually operating for Continental Air Transport, and just coincidentally painted up to advertise Continental Airlines? There is a Continental Air Transport Flxible Clipper parked just behind it in the photo. That photo mystifies me.....Is that Checker actually operating for Continental Airlines, or is it actually operating for Continental Air Transport, and just coincidentally painted up to advertise Continental Airlines? You know what they say happens when you 'assume' - I'm afraid I'm guilty of assuming in this case merely because it certainly seems as though the bus is operating for Continental Airlines. Is there a connection between Continental Airlines and Continental Air Transport? Okay fellas! Put on your brain caps for this trivial question and see how astute you are on details. The subject is destination signs - the housing, not the various curtain inserts. If you looks at their shapes, basically they are either rectangular or pill shaped (with round ends). Based on what I know, I've found only one make and model whose housing is trapezoidal shaped (ends are angled allowing either the top or bottom to be wider than it's opposite). Can you name the bus? ??? What does this have to do with anything - especially buses? It is a spam post. I deleted the user, but the post stayed behind. Whoops! Give me some time to get in front of a desk top and i will remove it.